Happy Friday! Don't forget, my giveaway for $50 to Sydney's Vintage Clothing ends tomorrow so be sure to get your entries in! Today's Friday Fashionista is a woman whose creative influence is still felt today in the fashion industry. She created the must-have handbag of the 60's and 70's. Introducing Enid Collins! Enid Roessler was raised in San Antonio, Texas. 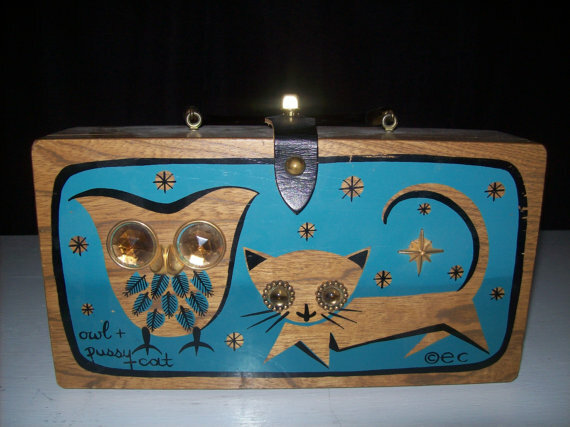 She majored in fashion design at the Womens University and was heavily influenced by local southwestern motifs. She married Fred Collins, a sculptor. "When World War II came to an end, Fred and Enid Collins moved to Medina, TX with every intention of becoming ranchers. To the benefit of all who appreciate great style and artistry, the ranching business proved a struggle, and the couple turned to their artistic talents for their livelihood. 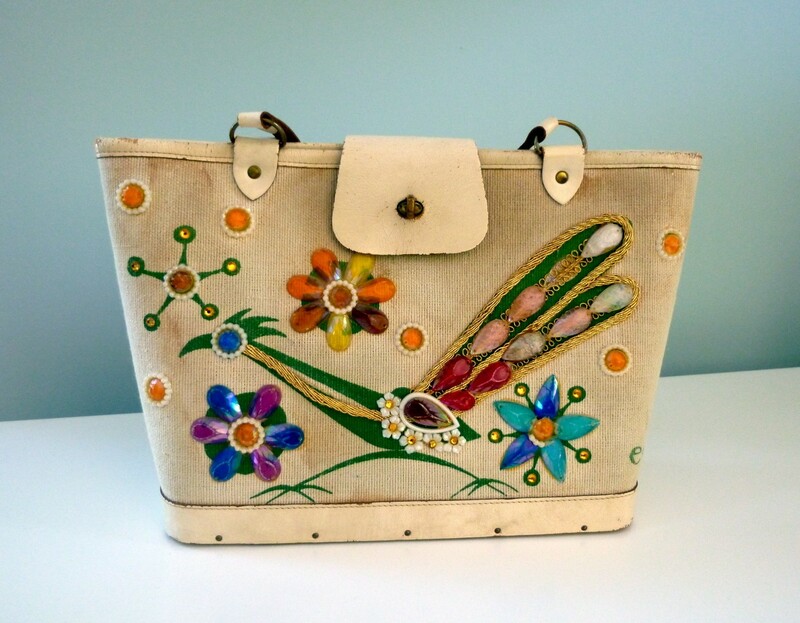 The team began producing leather handbags with hand sculpted brass ornaments"
From 1959 to 1970, Enid Collins created embellished handbags of all sorts. 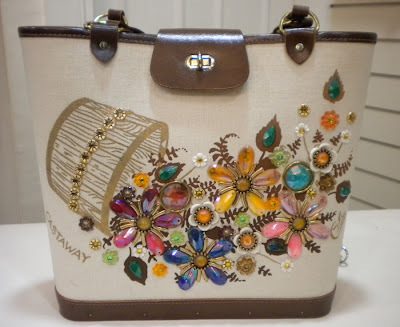 Her most popular designs include the wooden box purse, canvas tote and bucket tote. All of her handbags were embellished by her, using paint and glass jewels. After Neiman Marcus began featuring the bags in their stores, Collins of Texas became the must-have handbag. 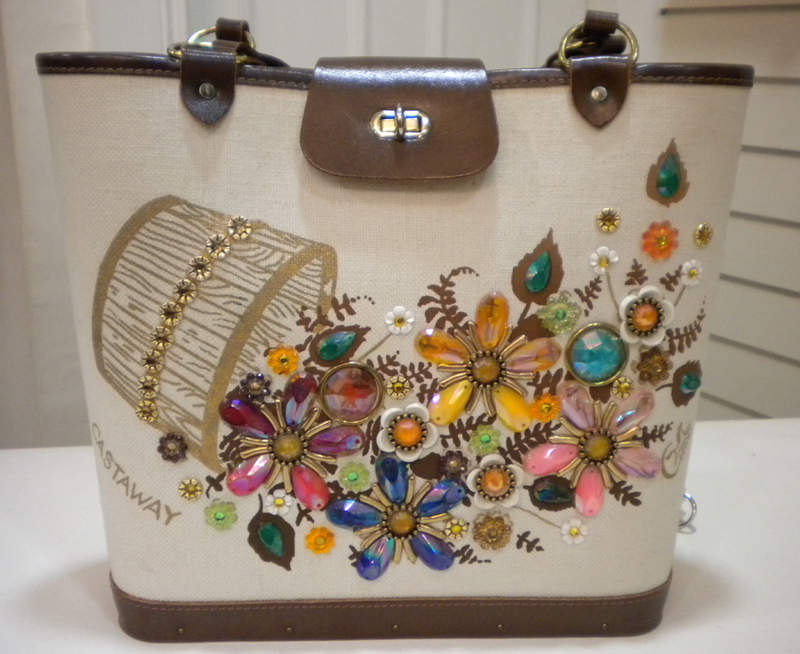 You can often find a great deal on Enid bags if they are missing a few stones or metal embellishments. There was once an ebay store that sold Enid Collins repair parts but sadly, they ran out of stock and shut down. 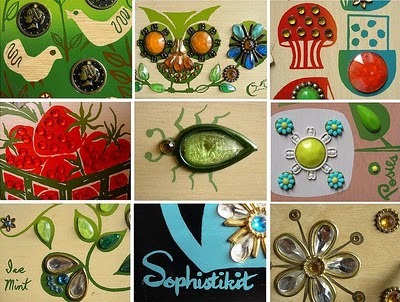 There are several etsy shops that sell flat-back glass cabs that are suitable for repair parts. Occasionally, you can find them on ebay as well. "EC" on the right corner of the bag, or "Collins of Texas" on her later designs. Enid box purses will have a mirror inside (or spot where a mirror once was) and leather and brass findings. I see these purses all the time. I'd like to buy one but want to find one in better condition. I always see the butterfly design. 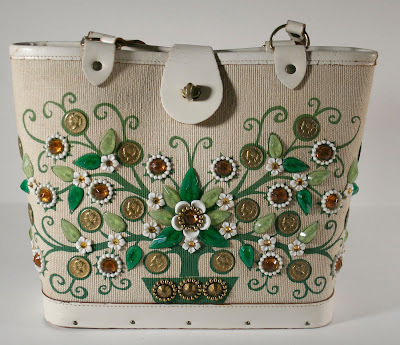 I do love these purses, just gorgeous. I can never believe they are so late as many of them look very 50s if you know what I mean. I am really loving these purses! thanks for sharing! gorgeous creations - love COllins' work.